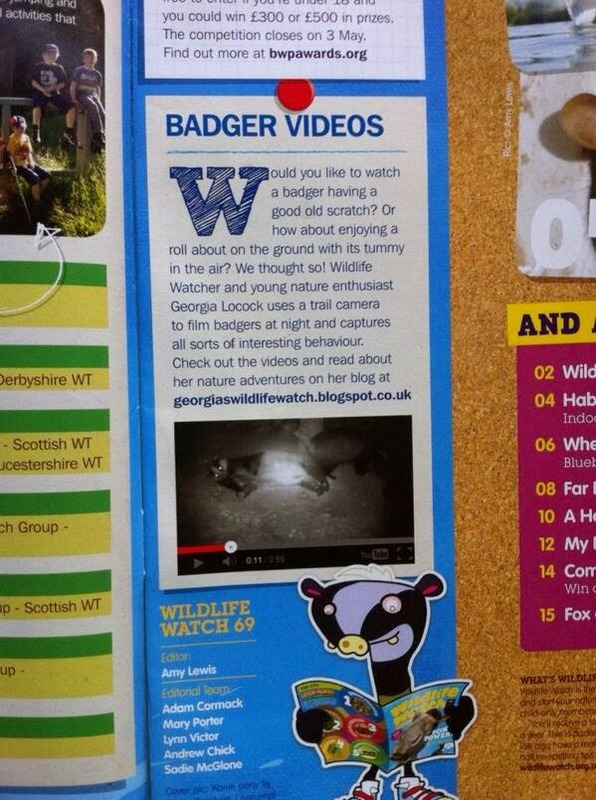 Over the past week I’ve been mentioned in two different wildlife magazines. 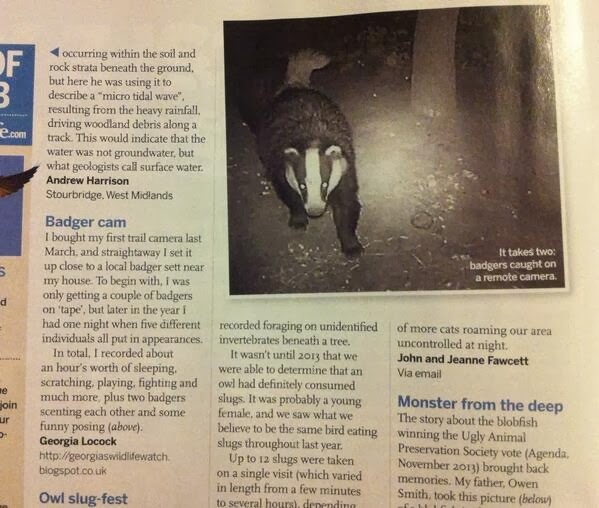 The first one was the March issue of the BBC Wildlife magazine where a story about the badgers that I recorded and a screen shot featured on the letters page. Then today I was sent the Junior Wildlife Trust magazine which is known as Wildlife Watch which had a part in about some footage that I had recorded and another screen shot. Previous PostPotty about fungi.Next PostImproving my blog. You are becoming the online badger champion!